Ed Berlien lives in Orlando, Florida. He has had an interest in photography from childhood. Living in the Washington, DC area and having a son interested in playing sports and surfing created many photographic opportunities.This interest expanded after moving to Florida in 1993. Living in Tampa led to a passion for birds and beaches. Moving to Orlando expanded the interest to the many lakes, rivers and other wetland of Florida. The passion has led to a variety of adventures outside of Florida. Ed has attended classes and workshops with Crealde School of Art, Palm Beach Photographic Centre, Rocky Mountain School of Photography, and National Geographic Expeditions. 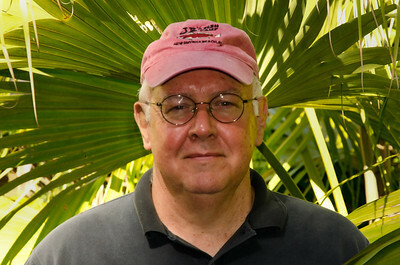 He has also attended numerous seminars given by regional photographers and is a member of Orlando Camera Club. Now that he is retired from being the Director of Fiduciary Operations of a registered investment advisory firm, he can spend all of his time on photography, boating and traveling. "Vintage Cars of Cuba", Ed's latest book, may be viewed at http://www.blurb.com/bookstore/detail/1141825. Now available on Ibooks.